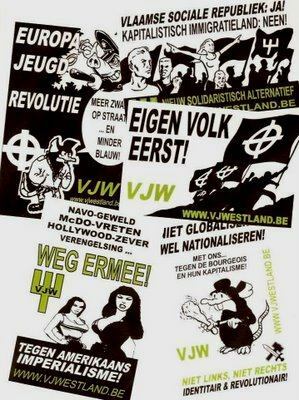 In the controversy over the association of counter-jihad bloggers and far-right European parties such as the Vlaams Belang, the latest claim being floated out there is that I’ve been “taken in” by Belgian agents provocateurs, who have infiltrated the Vlaams Belang party for the purpose of discrediting it. The theory goes: all the evidence I’ve posted to date is “disinformation.” All of it. Who knew the Belgians were that good at disinformation? They must be incredibly skilled in deception, because I’ve only posted a tiny fraction of what I’ve discovered linking Vlaams Belang to white nationalists on both sides of the Atlantic. 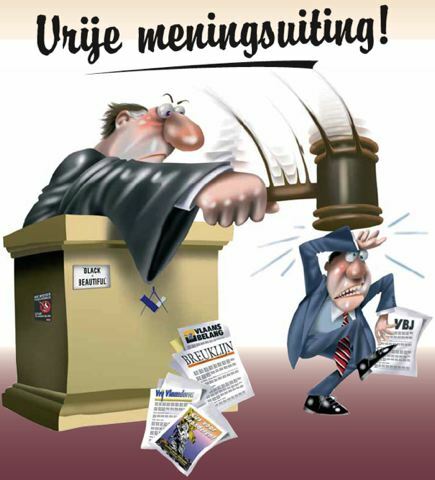 So, since I want to try to avoid that astonishingly authentic-appearing Belgian government disinformation, let’s go directly to the source this time, with some images from the Vlaams Belang youth magazine (published online as PDF files). Frequently appearing in this magazine is De Striprubriek, a column about comic strips. The logo for this column is a rat with a fountain pen. 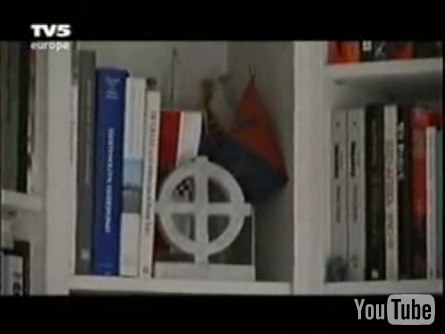 And a lovely White Nationalist Odin’s Cross armband. Here’s one edition of the VB youth magazine in which it appears. 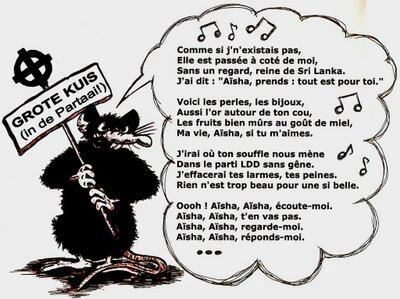 Interestingly, one of the most adamant supporters of the Vlaams Belang in our comments, “jeppo,” did not seem to want to discuss this rat, or the meaning of the Odin’s Cross armband. No doubt because it’s difficult to argue that this is an innocent “Celtic Cross” when it’s on an armband. 1) The Masonic compass and ruler symbol. 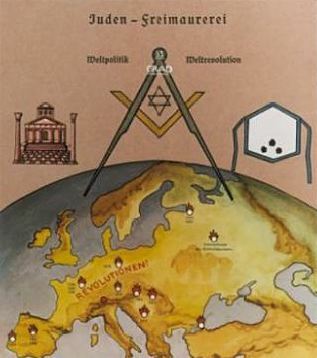 This is a golden oldie in the white supremacist movement, going all the way back to the Nazis, whose hate literature often featured conspiracies involving Freemasons and Jews. 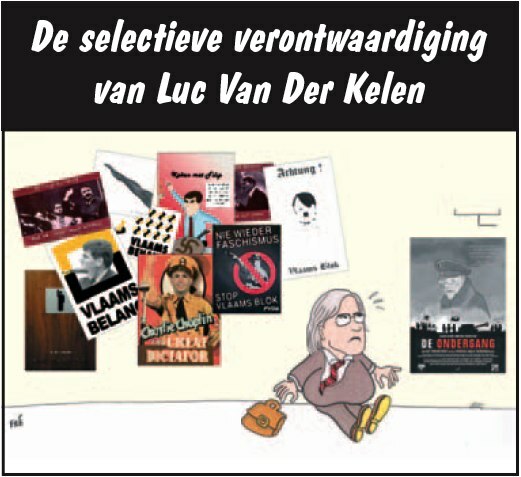 3) The smaller sticker on the left side is an anti-Vlaams Blok poster, with a man giving a Nazi salute inside a red circle with a line through it. It’s probably a smack against the “PC judges” who listened to anti-VB propaganda. Here’s a larger image of the sticker.